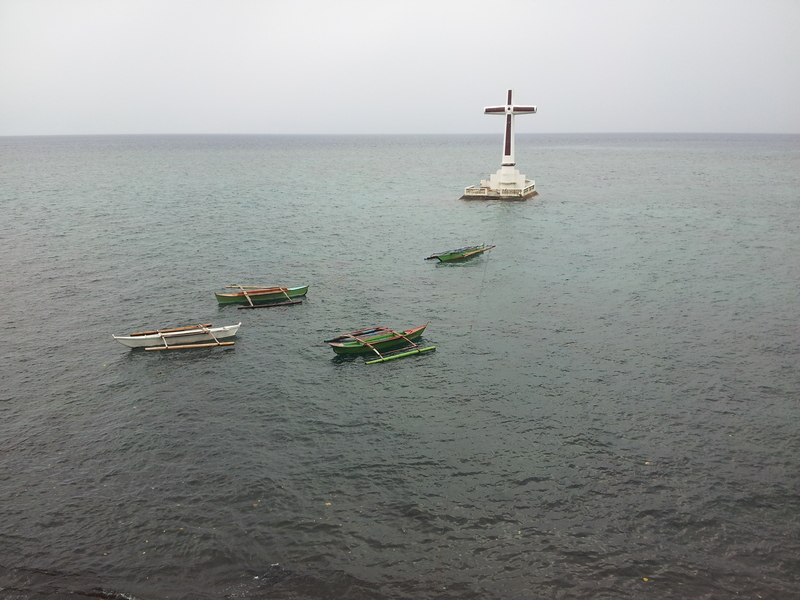 This is the Sunken Cemetery of Camiguin. 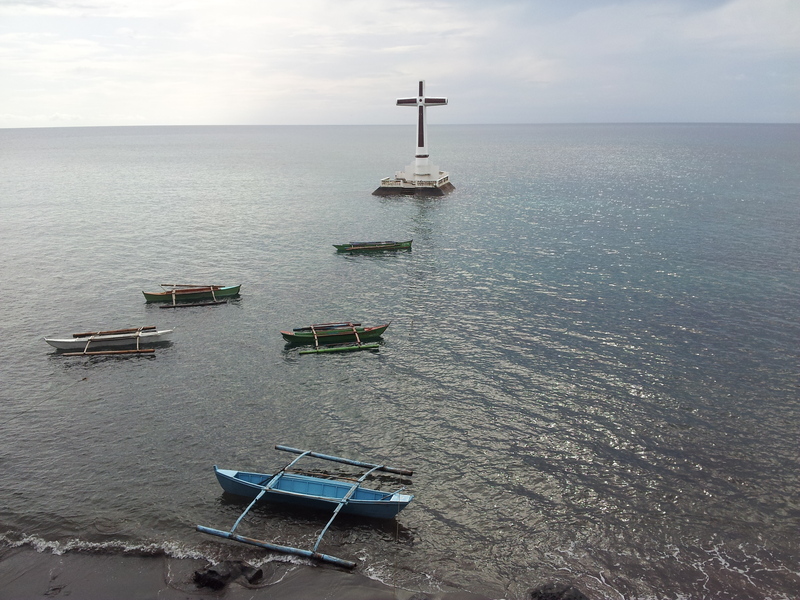 During low tide, one can actually walk from the view deck to reach the cross. 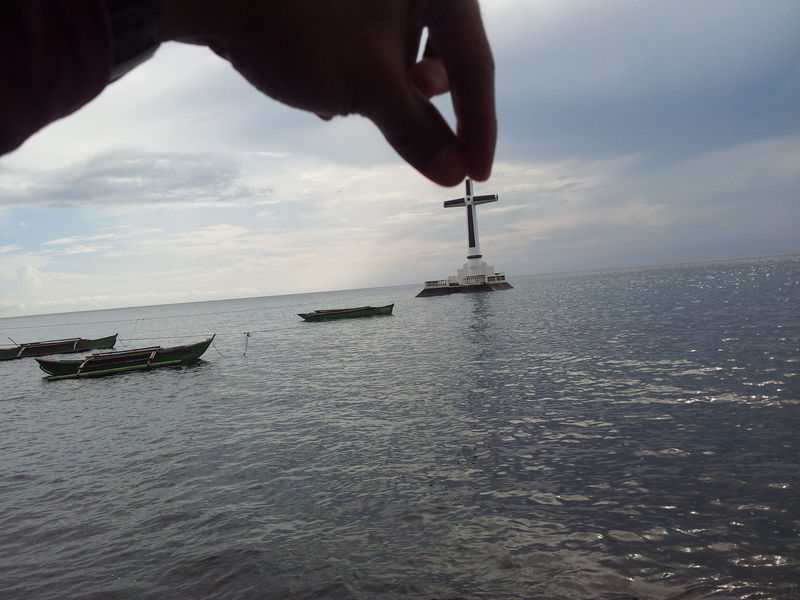 The cross is huge and those who are daredevils can actually climb it. 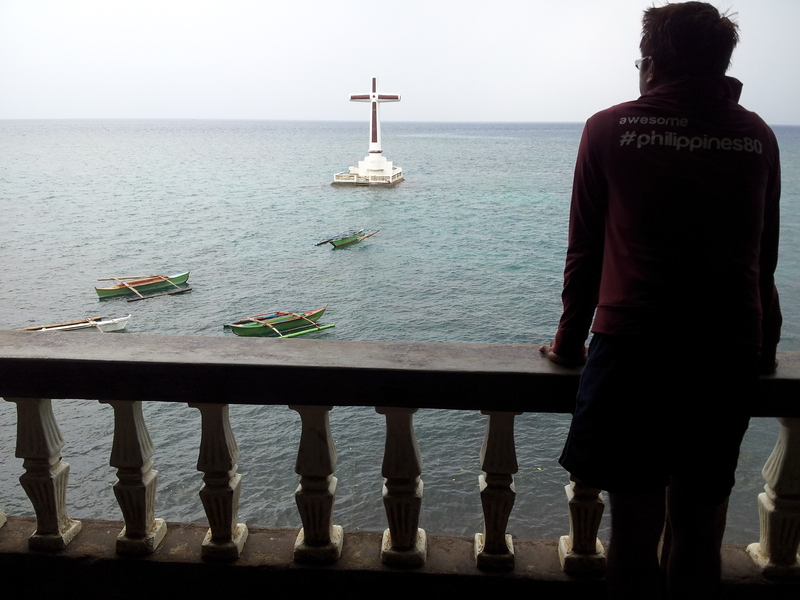 The Sunken Cemetery is a unique snorkeling and dive site because of the seascape and history it offers. 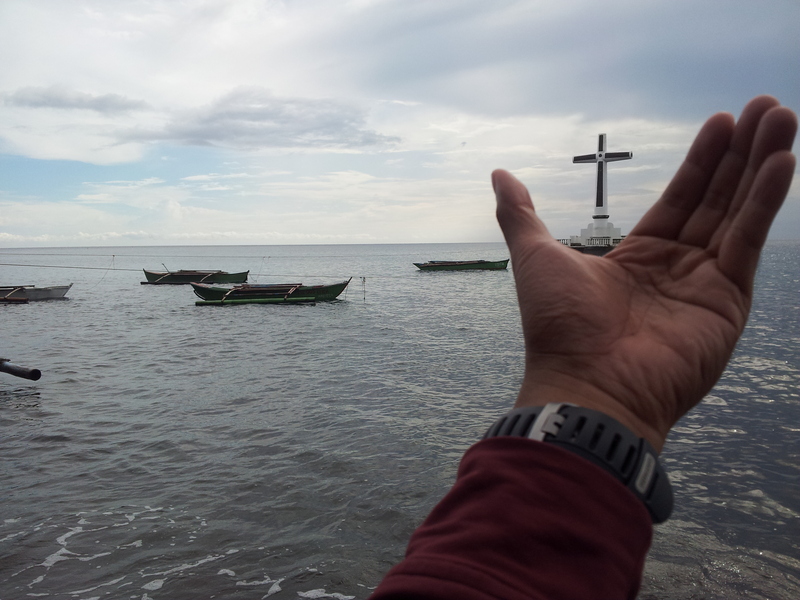 The Sunken Cemetery is Camiguin’s most recognizable landmark which was erected in 1982 to commemorate the eruption of Mt Vulcan the buried the town.